............."The best place to hide a 'Dead Body' is PAGE 2 OF GOOGLE"!......As Very few people regularly go past page 1 of Google! Whichever type of online business you are running, visitors and traffic are the 'lifeblood' of ANY online business. Without consistant visitor traffic, your business is doomed to fail. It's not as easy as you might think to get a website to rank higher in the Search Engine results. In fact, it's a never ending battle! Get it wrong and your website could be penalised or even completely BANNED by the search engines for "spamming"! Website marketing and promotion is something that is usually best left to SEO & Marketing experts. We have been doing this for many years now - and our marketing efforts will be based on our extensive research into your particular businesses niche, keywords & many other important SEO factors. Think about it, we ranked this (Our) website high enough in the Search Engines to enable you to find us!...... and we can produce similar results for your website/business - whatever your websites niche. With over $10,000 worth of specialist SEO/Website marketing & promotion software at our disposal, we have everything that's needed to get your business to the top in your specific industry. We will get you the results that you deserve. and NO Set up FEES for a limited time ONLY!! The SEO and promotion of your website is NOT something to just be done just once and then forgotten about. In order to reach and stay on top of the search engines long-term, you (or we) will need to keep up the marketing and promotional efforts that are undertaken on behalf of your website. 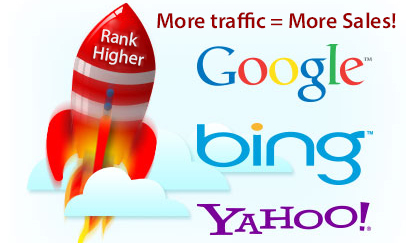 The minute you stop, there is a chance your competitors could overtake you in the Search Engine ranking results!..... This is why our website SEO & promotional packages are on a recurring monthly basis. We all visit Search Engines such as Google with the hope that they will suggest websites (search results) that are as accurate as possible to what we were actually looking for - based on the keyword 'search term' that we originally typed in. Once your website has been completed and is ready to "go live" to the public, the search engines will not know about it at first. They will have no idea that your website even exists, nor what it's about, and so, will not send you any free website traffic - and with NO traffic you can't possibly achieve any sales. SEO or Search Engine Optimisation is the process of letting the right influential sources - that can actually send you traffic (the search engines and website directories etc) - know that your website exists, explaining what it is all about, as well as also proving to them (the Search Engines & Directories) that your website actually deserves to be ranked above your competitors when someone types in a search term that you would like to rank high for. There are so many things that need to be done to your website, as well as to other websites that are in the same 'niche' as yours (such as building links) in order to get it to rank high in the search engines. Some things will need to be done to your website, and other actions will need to be undertaken on other websites, but on behalf of your website. ...It's often repetitive & never-ending work that can be exhausting unless you have a dedicated SEO & Website Promotion team at your disposal! We are experts in Website SEO. Even if we were not the ones who built your website, we are able to Search Engine Optimise it to rank above your competitors in the natural search engine results - that is our promise to you. Imagine you are on a website (let's call this website A), and you click on a link that takes you to a completely different website (that we will call "Website B"); then Website A is basically linking to website B and In the eyes of the Search Engines, website A is essentially "Voting" for website B as they considered them worthy enough to link to them. The long and short of it is that the more other people's websites are linking to yours then the "better" or more important your website is considered to be. With this, we will actively work on getting other website to link to your website hence increasing it's credibility & Search engine ranking. It's not just Google out there you know. Yes they are the top Search Engine to be listed in and your website will be doing well if you can rank high in Google, but there are literally 1000s of other lesser-known Search Engines that could also bring you FREE web traffic. It is also advised to re-submit your website to the Search Engines every single month. Website directories are a great way to build those all important links pointing back to your website - as well as some free web traffic. We will submit your website to the top website directories and even ensure it is listed in the correct category for your business niche. Web directories can be a really great way to get your website noticed by the search engines. There are over 1500 web directories for us to choose from when submitting your website and the ones we choose will depend on your web sites particular niche - this is so that the best results can be achieved for your business. Search Engines (especially the likes of Google) love UNIQUE, fresh and regularly updated content. The word "Unique" is especially important here because IT IS NOT ok to just copy and paste content from another website and think that you will be given credit for it, or even that it will do anything for your websites rankings...... Google are way smarter than that and hate being taken for 'idiots'. Copying content from another website is the most sure-fire way to get your website penalised. To rank higher in the search engines, you need fresh regularly updated content that is 100% unique and can not be found anywhere else. 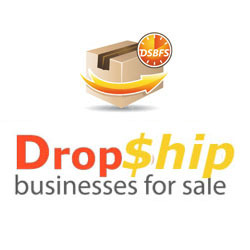 Opt from the right package and we will create this for you. 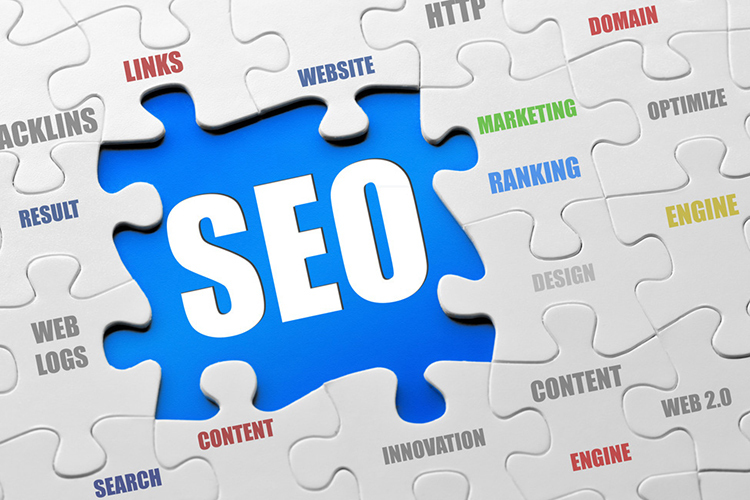 On-Site SEO (often called "On-Page" SEO) covers any aspects of SEO that are undertaken on the pages of your website. These are elements that either you (or us as your website designers) can control. On page SEO of your website includes elements such as Keywords, Meta Tags, the text on your pages, the images and other elements. If you opt for a package above with this then we will handle the on-page SEO of your website. Off-site SEO is simply any SEO actions on behalf of your website that actually takes place OFF of your website - usually done by other webmasters and owners of other websites within your niche. Off site SEO factors can be some of the hardest to implement as they can often be beyond your control as you do not usually own the other websites. We will use our tools, industry expertise as well as abilities to help to ensure that the right off-site signals are in place on behalf of your website property. PPc or Par Per Click advertising is one of the fastest ways to get targetted traffic to your website even if it is brand new and no one has ver heard of it before. Just as the name suggest, Pay Per Click advertising is when you Pay for each and every Click or visitor that the search engines send to your website. For PPc you will need to set up campaigns that will allow you to specify the exact keywords that you would like to target. When someone types one of your keywords into search then your advert will show up. Social Media Marketing is fast becoming one of the most important factors of SEO. So-much-so that NO website SEO strategy can be considered complete if you are not also connecting to your customers directly on the main Social Networks. Search Engines such as Google are smart enough to be able to take into account what people are saying about your business on the social networks, how many likes you have etc. If you choose one of out marketing plans featuring Social Media Marketing then we will handle all of your social media marketing for you and build a real buzz about your business. SEO stands for Search Engine Optimization and is simply the process of optimizing your website to rank better/Higher in the search engines when someone types in a search terms that is related to your business. You NEVER built my website, can I still use your service? YES of course you can. Regardless of which company built your website, we can still help you to obtain better search engine rankings with our website SEO and promotional service. Just choose the right website SEO package above that suits your requirements and then leave the rest to us. Will I be tied in to a contract? No you won't! There are no lengthy or costly fixed term contracts with our website SEO and promotion packages. All contracts are on a rolling monthly basis and you are free to cancel at any time. 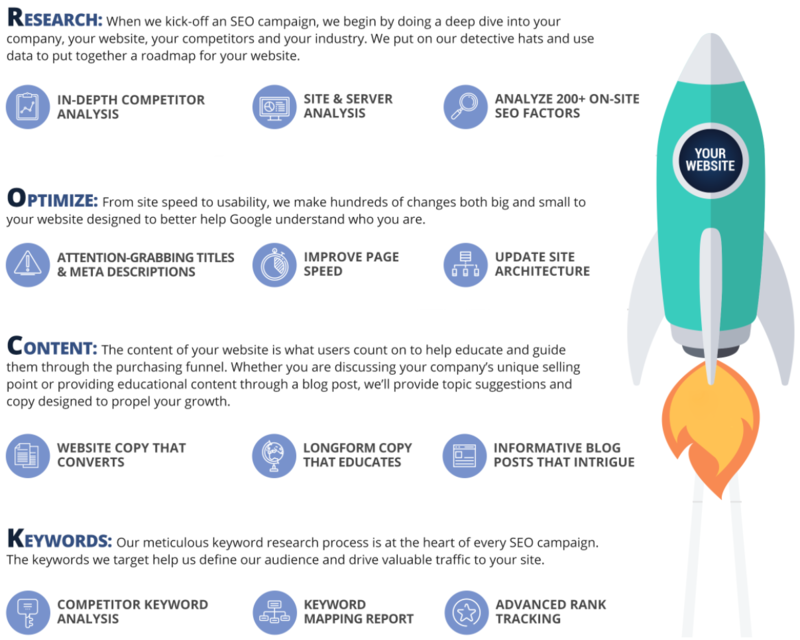 Why should I choose you to SEO and rank my website? Did you notice something......... you found us because we ranked high enough in the search results, and you probably initially typed a term into a Search Engine that led you here. What does that tell you........we know exactly how to rank higher in the search results and can do the same for your website. This really will depend on so many different factors including which keywords we will be targeting and how competitive your specific niche is. Realistically we with need between 1 - 3 months for our SEO & marketing efforts to take effect; results will then begin to propagate across the main search engines and directories. Social networking results should be even quicker. Can I get a discount on pricing? Yes sure, you can claim your discount on any one of our website marketing and SEO packages simply by opting to pay for several months in advance. During checkout you will see the option to select to pay to several months in up front, this instantly qualifies you for a discount and you will notice the price change accordingly.